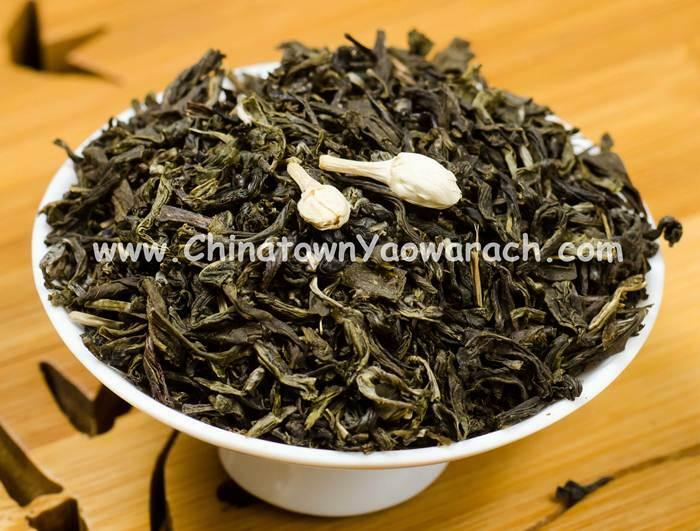 This Jasmine Flower Tea has the neat twist shape with white hair of green tea. The aroma of jasmine and green tea is more intense. The tea is clear light green and the taste is mellow and pleasant.